3-jaw power lathe chuck with jaw quick-change system for small batch sizes and the easiest exchange of existing lathe chucks with fine serration. 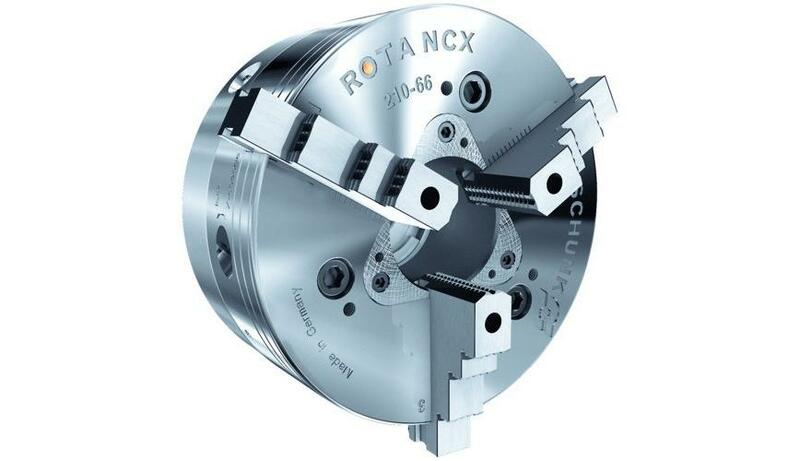 100 % compatible with the power lathe chuck of the Kitagawa BB200 series. - Interface 100% compatible with power chucks of the Kitagawa BB200 series. Exchange of the existing Kitagawa chucks can be done within short time. - Blank draw nut which can be disassembled and removed is integrated in the chuck. Turning for draw tube threads or replacement of the already turned center sleeve. - All functional parts are ground and hardened. High run-out and jaw change repeat accuracy.